High NH gas prices have hit most of our budgets here in Somersworth. If increased fuel costs are consuming a bigger portion of your budget, you may be tempted to skimp in some other areas – like scheduled maintenance. According to NH news reports and industry studies, you're not alone. Nine out of ten personal vehicles on the road have at least one maintenance or repair item that hasn't been . Some of these items are serious safety concerns. Others are just more likely to affect the cost of operating your vehicle. In this area, we can take a lesson from professional vehicle owners in the Rollinsford area: fleet owners and operators like trucking companies and Somersworth delivery services. Because their livelihood depends on it, they have gotten scheduled maintenance down to a science. And the last thing they skimp on is regular maintenance. Fuel system cleaning, transmission service, differential service, wheel alignment, oil change, tune-up. Ring any bells? Is there at least one thing on the list that hasn't been done? Let's suppose you chose to spend $150 at Central Park Garage and get caught up on some of these services and that they combine to improve your fuel economy by 15 percent. What would that mean to your pocketbook? Well, the average personal vehicle in NH is driven about 12,000 miles a year. If you get 20 miles per gallon, over the course of one year you would pay for the $150 worth of service and save an additional $165 if gas is $3.50 in Somersworth. If gas is $4.50, you would save $255. And you'd rack up savings of $345 with gas at $5.50. From this you can see that the more fuel costs in Somersworth, the more it pays to take care of your vehicle. Some of us Somersworth drive trucks for work or recreation – or want a large SUV for family needs. A 15 percent improvement in fuel economy can generate huge savings – $660 a year if gas is $4.50 a gallon at your Somersworth gas station. So catch up on those services at Central Park Garage in Somersworth. Talk with your friendly and knowledgeable Central Park Garage about your vehicle's needs. Get a couple done now and a couple next time. 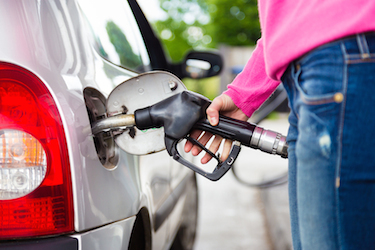 Chances are you'll save a lot of on fuel this year – and a lot more on repairs in years to come.